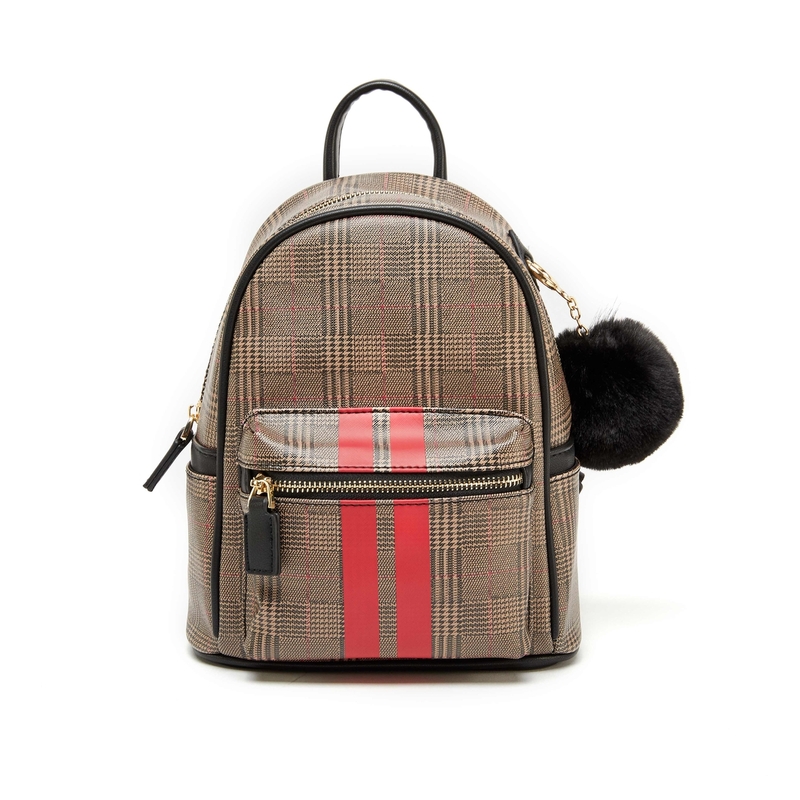 The LIKE DREAMS Racer Stripe Mini Backpack brings a sporty look to the classic plaid print. Whether you`re going out to have brunch or a night out with your girls the LIKE DREAMS Racer Stripe Mini Backpack will be the accessory that brings your fit together. This backpack features two easily accessible slip pockets, a detachable pom-pom (which could also be used as a key chain), and smooth polyester lining.